Immaculate Conception Church is serviced by priests from the Society of St. Pius X. They reside in the priory, located in close proximity to the church. Daily Mass is offered in Post Falls and Spokane Valley by these priests (See our schedule for more details). By their constant presence they ensure the availability of the sacraments at all times. On the weekends some of them travel to say Mass at various Mass centers throughout the Northwest. During the week they teach at our boys school and a girls school run by Dominican teaching sisters. Fr. Gerard Beck was ordained by His Excellency Bishop Richard Williamson in 1996, after completing his theological studies at the seminary of Econe, subsequent to three years of study at St. Thomas Aquinas Seminary in Winona, MN. Father acted as U.S. District Bursar for the first nine years of his priesthood, then was named First Assistant, an office he has held since 2005. As assistant, Father has been tasked primarily with overseeing the 25 schools of the U.S. District, and working to unify this critical apostolate of the priests. In 2012, he was assigned to Saint Mary’s Academy and College, where for four years he served as Rector, before being called back to the district office in 2016. Father was named Prior in Post Falls in 2018. Fr. Joseph Dreher is the pastor at ICC. Having completed his studies at St Thomas Aquinas Seminary in Winona, MN he was ordained to the priesthood by Bishop Alfonso de Galarreta on June 24, 1995. Over the years he has been assigned as prior in El Paso, TX, Headmaster at St Michael’s School in Burghclere, England, professor at STAS in Winona, District Secretary, and Assistant Priest in Chicago, IL before being assigned as Pastor at ICC in 2016. In addition to his duties as Pastor, he also acts as the chaplain for several lay apostolates in our parish including the Heart of Mary Guild, St Monica’s League, and the Children of Mary and he is responsible for coordinating all the Sacraments which are administered in the parish. Fr. Hugues Bergez is the chaplain to St. Dominic School in Post Falls. The son of a French diplomat, he was born in Madagascar. In 1996 he was ordained at the seminary of the Society in Switzerland. After serving as a missionary in Africa for a few years he was stationed at our retreat house in Ridgefield, CT. He then spent some time in Los Gatos, CA before being transferred to Post Falls in 2014. In addition to the above mentioned chaplaincies, Fr. Bergez is chaplain as well for the various Third Orders that are active in Post Falls. He also teaches religion classes for several of the grades of girls who attend St. Dominic School. He currently takes care of the Corpus Christ Chapel in Edmonds, WA. Fr. Patrick Crane was ordained in 1998 and was assigned to Arcadia, CA for one year and Post Falls for the 4 years following. He served as the US District Canonical Commission Judge and Director and US District Bursar for 5 years. Fr. Crane has taught at SSPX schools in Arcadia, CA, Syracus, NY, St. Marys, KS, Browerville, MN, St. Louis, MO. 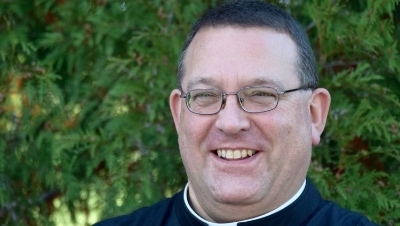 Father currently takes care of our mission in New Plymouth (Boise), ID and is the chaplain for the Carmel of the Holy Trinity in Spokane Valley, WA. He also serves as Retreat Master in Post Falls, ID. Fr. 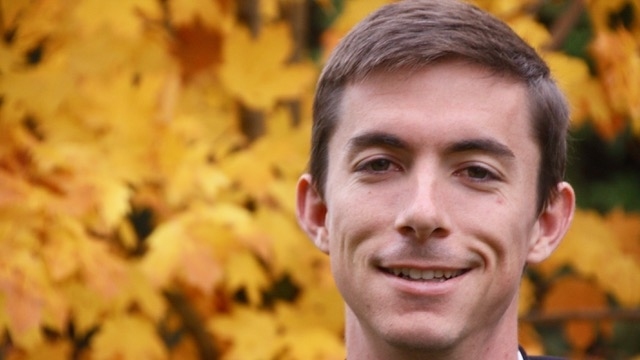 Jonathan Loop was raised Episcopalian, converting to Catholicism in college. With a bachelor's degree in political philosophy, he enrolled in St. Thomas Aquinas Seminary and was ordained in June 2011. 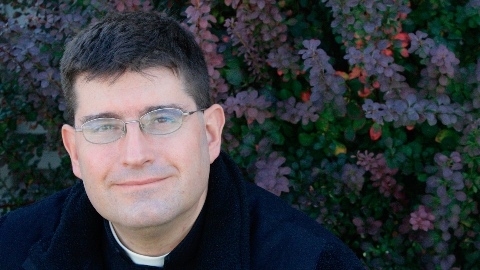 He spent 5 years in Veneta, OR, serving as pastor for Our Lady of Fatima in Portland, OR. In fall of 2016 he came to Post Falls to serve as principal of Immaculate Conception Academy. In addition to his work in the Academy, he is also chaplain for the Exsurge Youth Group which is active at ICC. Fr. Thomas Duncan from Silver City, New Mexico was also ordained in 2014, having been homeschooled with Our Lady of Victory Homeschool program. His mission consists of saying Mass on the first and third Sundays of the Month for the Kalispell and Victor Missions in West Montana. At the academy, he teaches 6th and 7th grade Religion. Other apostolates include the extra academy religion program, as well as the Eucharistic Crusade and the Militia Immaculatae. Fr Thomas Brooks is originally from Elk Grove, CA. He entered St. Thomas Aquinas Seminary in 2008 and was ordained to the priesthood in 2015. His first assignment was in Sanford, FL where served our missions in Miami, Davie, and Jacksonville. He also served as the Chaplain and later Principal of the priory school, St. Thomas More Academy. He was assigned to ICC to work mainly in the Immaculate Conception Academy where he is the Vice Principal, the Chaplain for the High School and a teacher of Latin, Religion, and PE. Fr Lukas Lipp was born in 1981, to Tyrolean parents, and grew up in the Novus Ordo. As an adult, while pursuing a medical degree, Father was introduced to tradition by the Austrian youth group, KJB, and soon found that he was not called to be a doctor. Shortly thereafter, having made his first retreat and having spent a year in one of our priories, he entered the Society seminary in Zaitzkofen, Germany. Our priory was blessed to have received him for a year and a half after he had finished his studies for the priesthood. Father Lipp was ordained a priest on the 30th day of June, 2018 and is happy to be once again in Post Falls for his first assignment. His duties entail assisting Fr. Dreher in administering to the parish, teaching religion in the academy, and caring for the souls of his two missions in St. Maries and Ferdinand, Idaho.